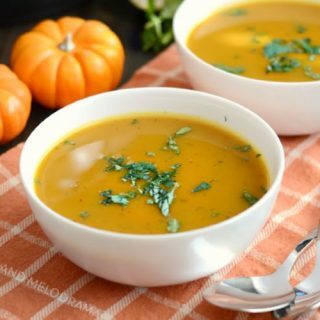 This Instant Pot Easy Pumpkin Soup recipe is rich, creamy and simple to make from canned pumpkin and a few other ingredients in your pressure cooker. It’s finally cooling off here, which means it’s time for some easy Instant Pot soup recipes — like easy pumpkin soup. And, this pumpkin soup is one of the easiest Instant Pot recipes you can make. It’s savory, creamy, healthy and the perfect fall soup recipe! I have an easy pumpkin soup recipe that I usually make on the stove, but since I’m trying to convert some regular recipes to Instant Pot recipes, I just had to try making pumpkin soup in the pressure cooker. I made this pumpkin soup for the kids’ lunch today, and they loved it. My daughter even said it was the best pumpkin soup ever! 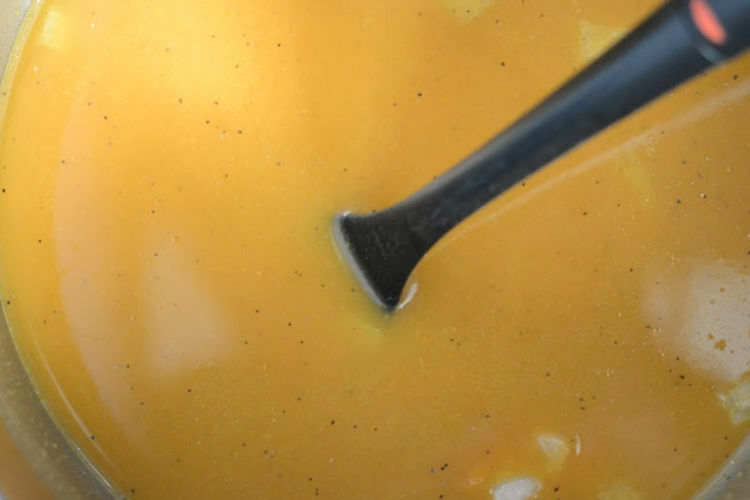 I make pumpkin soup without heavy cream — it gets a creamy texture when you blend it. So, this Instant Pot easy pumpkin soup is pretty healthy, but you can definitely add cream in before serving. 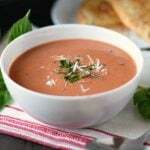 It makes this delicious soup taste even better! I make easy pumpkin soup with canned pumpkin — we’re keeping this as simple as possible! But, to bring out the flavor, I like to heat the pumpkin first. You can do this right in the pressure cooker on the Saute setting. Just cook the onions and pumpkin with a little butter, and season it. Then, add some lemon juice and chicken broth, and pressure cook it. If you want to make vegetarian or vegan pumpkin soup, use vegetable oil and vegetable broth. I almost always have chicken broth on hand, so that’s what I usually use. 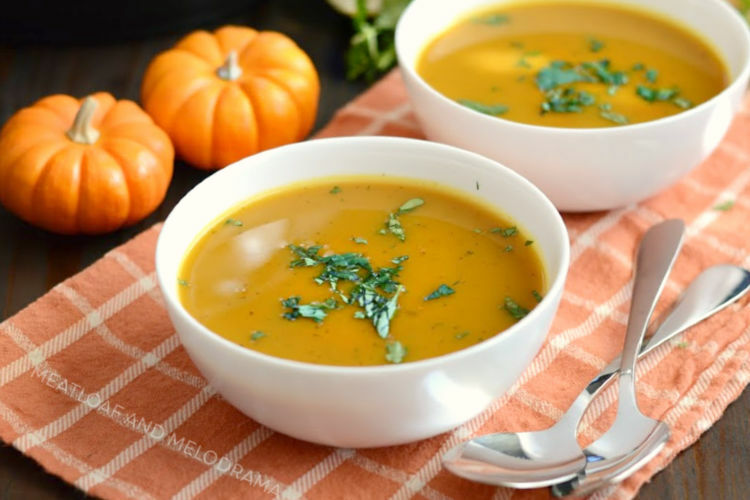 Instant Pot pumpkin soup takes just 5 minutes to pressure cook. After that, give it a good stir. 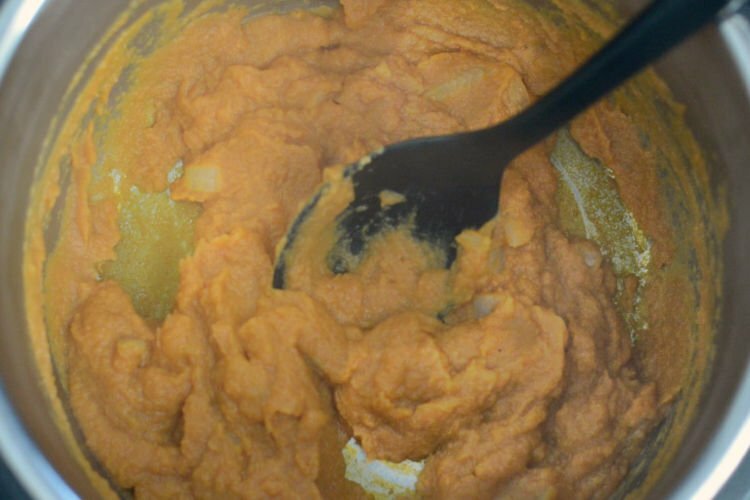 And to make it super creamy, use an immersion blender to blend the soup until it’s nice and smooth. If you don’t have an immersion blender, you can use a regular blender or, better yet, the new Instant Pot Ace Blender. I don’t own one yet, but I’m definitely thinking about it! You can stir in a little bit of cream before serving, or let people add their own if they prefer. But, you don’t have to. 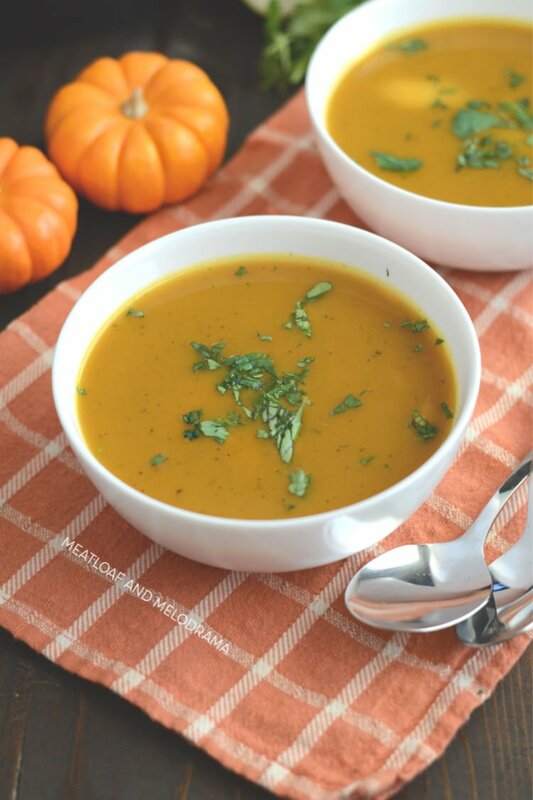 This pumpkin soup is so good just as it is! This Instant Pot Easy Pumpkin Soup recipe is made without heavy cream, but it's rich, creamy and simple to make from canned pumpkin and a few other ingredients in your pressure cooker. 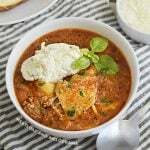 I hope you enjoy this Instant Pot easy pumpkin soup recipe as much as we do! I would totally eat this every single day 🙂 Looks so comforting! This looks so good! Such an quick and easy way to warm up on a chilly day. 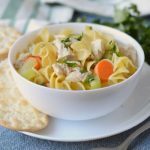 This is really interesting and just in time for soup season! This looks so good! 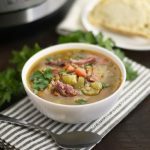 love that you can make it in a pressure cooker! I love how creamy it looks! Perfect for fall! This soup couldn’t look any more perfect! Thank you so very much, Erin! Love pumpkin soup, this looks so yummy!